A common theme across my executive coaching clients is related to networking. Often it comes down to the sense there's not enough time to network. "Nice idea but I'm too busy!" But when I, as a coach, push back on this bias, here's what I find: It's not a time issue. Rather, it's a perception issue. We prioritize those things that we perceive will provide the best return for our attention. Bottom-line: networking is often not perceived as sufficiently valuable to justify the investment of time. 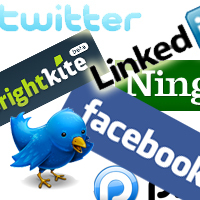 Social networking tools provide a technology to facilitate networking. But what are some ways to use these most effectively? How can I make sure I don't waste my time with them? This podcast discusses strategies to help you more actively leverage the power of social networking to enhance your career and improve your ability to lead and deliver.